How do you Install a Garage Door? What is the room needed to install a Door? 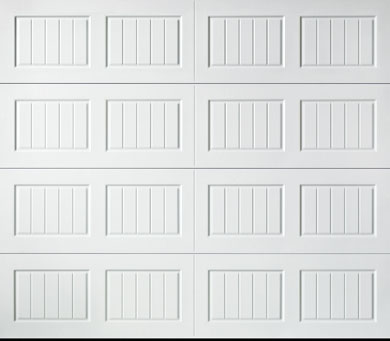 What are Wind-Rated Garage Doors? Call 1-877-357-DOOR (3667) to speak with one of our design consultants today. Width: 12' 2" 12' 4" 12' 6" 12' 8" 12' 10" 13' 0" 13' 2" 13' 4" 13' 6" 13' 8" 13' 10" 14' 0" Height: 14' 3" 14' 6" 14' 9" 15' 0" 15' 3" 15' 6" 15' 9" 16' 0"
12 or more inches of headroom is required to install this door without a low headroom track, one has been added to your cart at a cost of $75. To remove it select 12 or more inches of headroom. Due to the multitude of options and area requirements with windcoded garage doors we ask that you please call 1-877-357-DOOR (3667) to discuss the windcode options with one of our representatives. Please Note: Artistry model doors feature insulted glass except in the case of wrought iron inserts. Used for a fresh install of a new garage door, sold in 10 foot lengths. Note: For illustrative purposes only. Actual door may vary slightly due to size/configuration. * Estimated start price is based on the least expensive option of the details provided thus far. Actual door pricing is wholly dependent upon size, options, and accessories.